What better way to kick off the start of summer than enjoying a BBQ with family and friends! 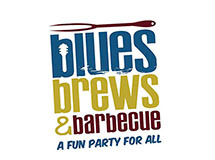 YOUR Boise Hawks will be hosting their 4th Annual Blues, Brews and BBQ’s event Saturday June 1 at Memorial Stadium to benefit The Idaho Humane Society. Tickets start at just $7 for admission, one soda and an ice cream or $10 for admission, a beer mug and two sample tickets. Those who choose to bring a bag of cat or dog food for The Idaho Humane Society Pet Food Pantry will receive two extra sample tickets along with their admission. Extra sample tickets can be purchased for just $1. One ticket gets you a sample and three tickets will get you a full beer. Children three and under get in FREE! Blues, Brews and BBQ’s is meant to act as a pet food drive to support The Idaho Humane Society. The Idaho Humane Society will have their staff and friendly pets at the event from 11AM-2PM. The animals brought to Memorial Stadium will be up for adoption that day! As of now the event will feature seven bands from the Treasure Valley including Next in Line, Marshall Poole, Phantasmagoria, Lori B. Band, The Juke Daddy’s, and Jake Leg with The Blues Addicts headlining! There will be six breweries open with more than twelve beers to choose from for sampling! Brewers include Payette, Grand Teton, 10 Barrel, Crooked Fence, Table Rock, and Highlands Hollow. As for the BBQ, there will be three “Barbecue Masters,” Rolling Hawk Smokers, Idaho BBQ and Brown Shuga Soul Food! Geno George, the master mind behind the Blues, Brews and BBQ’s event at Memorial Stadium, says there is no way, rain or shine, that the event can be a letdown. Although the “brew” is a big part of the day, don’t hesitate to bring the kids! The Hawks Nest will be open with kid friendly food and beverages such as popcorn, peanuts, soft pretzels, french fries, Pepsi and iced tea. There will also be domestic beer, wine, margaritas and sangria available for the adults. The hours of the event are not clear. Is it purely 11 to 2, when the animals are present, or does this run into the evening? Sorry for this confusion, the gates open at 11:30AM and the event goes until 9PM!